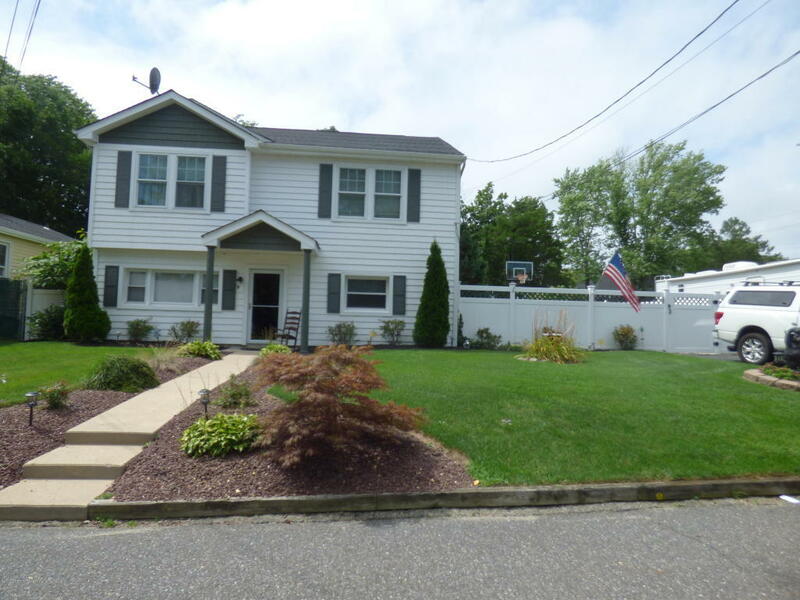 Lovely and spacious 4/5 bedroom 2 bath custom colonial located in quiet neighborhood just steps to Shark River Park. The first floor features a living room with pellet fireplace, formal dining room that opens to a bright updated kitchen with granite counters, bedroom, full bath, mud rm, laundry rm and an extra room perfect for office/large pantry. The second level has big master with vaulted ceiling, 3 more bedrooms and full bath.You will love the private back yard complete with above ground pool, basketball half court(or large patio), gazebo sitting area and best of all-a heated man cave/she shed/hang out attached to the large garage. Wood floors, roof('17), updated baths, and lots of extras! !